Tour of California Ave Coach Yards with Joseph Verona in 1968. 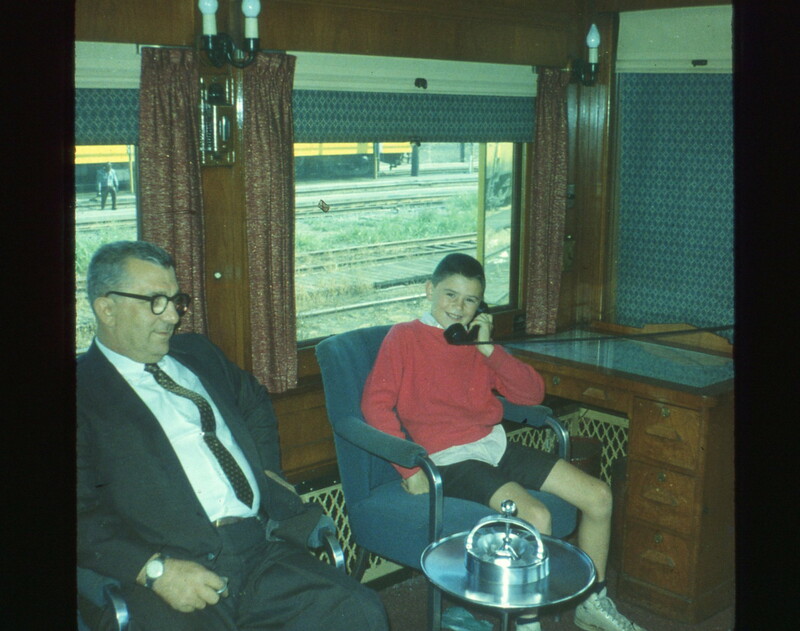 Photo is taken in observation lounge of newly arrived Chicago Great Western business car 100. Jim Justen on phone.